Effective protection against oil, grease and water stains. 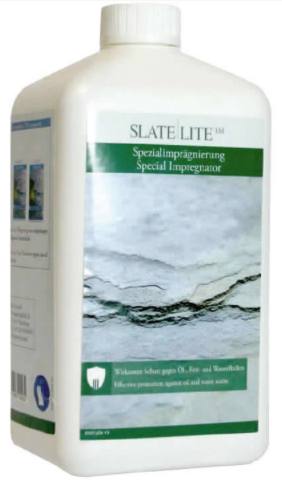 The impregnator contains no solvents, instead it is based on water soluble polymers. 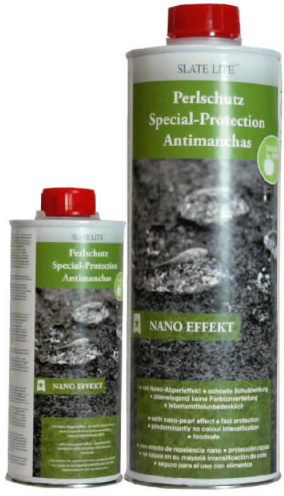 Ready-for-use, weatherproof and non-yellowing impregnator on an organic basis. Because of the capillary forces of the stone the Special Protection is absorbed without blocking the porosities. Therefore a high effectiveness and stability is guaranteed. Protection sealing with two components. 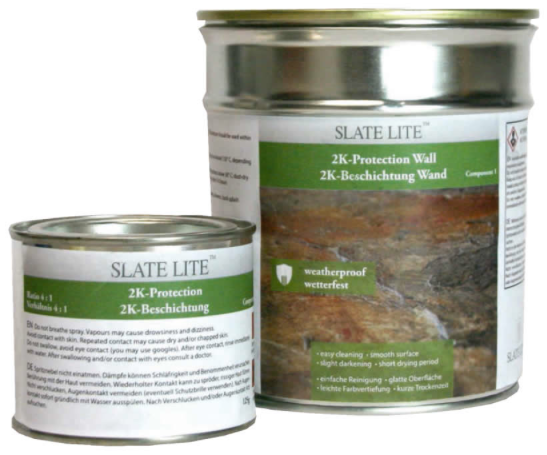 The scratchresistant covering has a mix ratio of 4:1 and is workable within 3–4 hours.